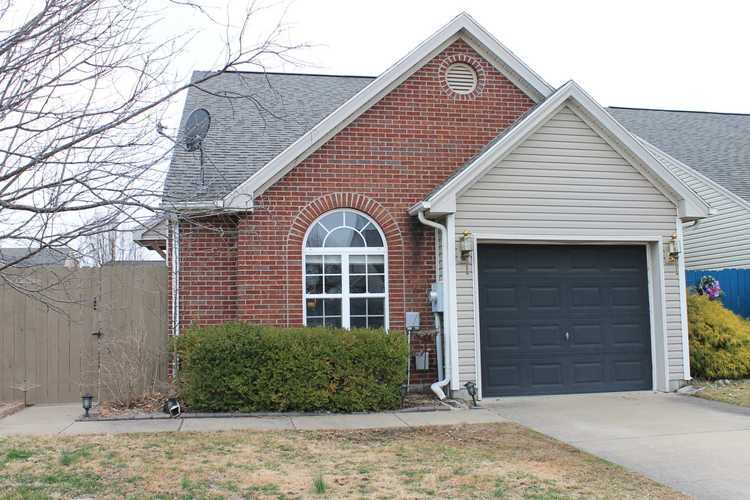 Nice patio home located on the North side in the Stonecreek subdivision. As you enter you are greeted by the spacious great room with sliding door leading you to the patio and the newly fenced yard. The eat-in kitchen with all appliances has plenty of cabinets and room for a large table. On the main level you will find 2 bedrooms with a full bath. A large bedroom and full bath complete the upper level. This is a cutie so make your appointment to see it before it is gone. Directions:N on 57, left on Kansas Rd, Right on Cayes, home on left.